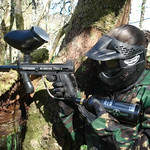 Commando paintball session in Nottingham with 100 paintballs - Anti-fog goggles - Semi-automatic markers - Padded suits and hoods. 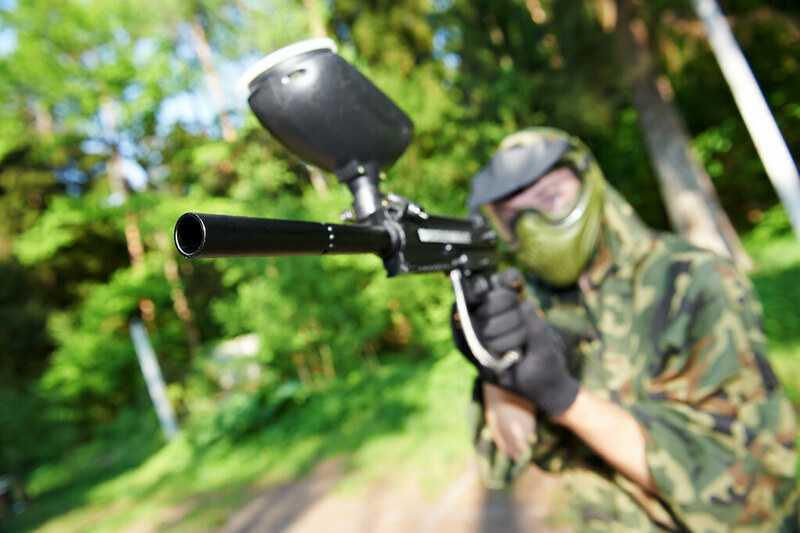 Shoot your day away at this superb broadleaf woodland paintball site that features a man made and artificial Game Zones. 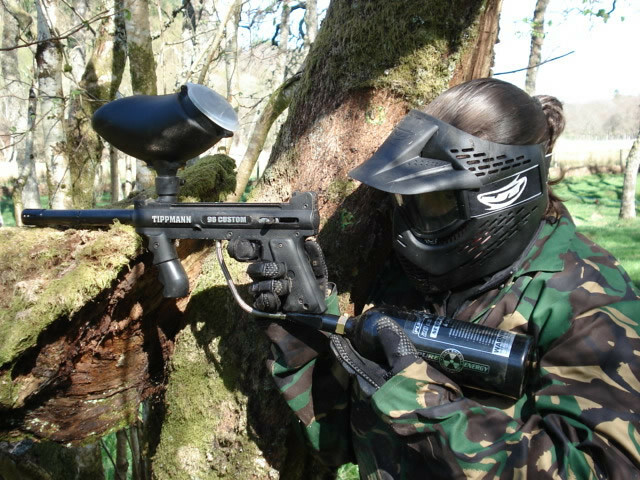 You will be fully kitted out with overalls, paintball marker, mask, goggles, hopper and air cylinder before being split into your teams. Games last between 10 and 30 minutes according to skill or good fortune, so even if you get hit you won't be out of action for long. All games are professionally refereed to insure player safety and fair play. The site has a snack bar open all day and undercover seating for 100 people. 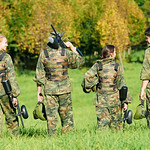 The site can comfortably manage over 80 players per session. 09.30 or 13.00: – please make sure you arrive at least 15 minutes before your allotted briefing time. 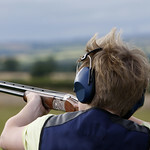 How good is your aim? 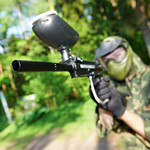 Will you be able to blow the targets up with a shotgun as they fly out into your field of vision? 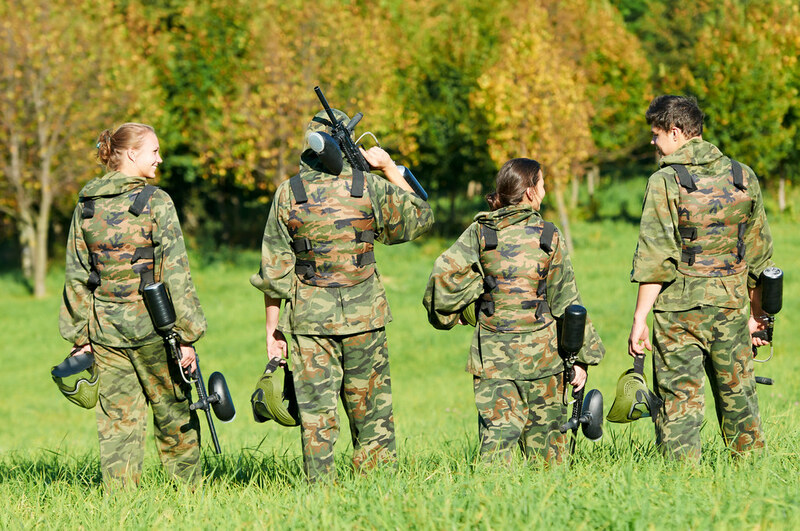 Come and find out who’s the secret marksmen of the group!